Common commercial acids and bases are aqueous solutions with the following properties: nitric acid (HNO3), density 1.42 g/cm3 and 65% solute by mass. Calculate the molarity. Common commercial acids and bases are aqueous solutions with the following properties: HCl, density 1.19 g/cm3 and 31% solute by mass. Calculate the molality. Common commercial acids and bases are aqueous solutions with the following properties: nitric acid (HNO3), density 1.42 g/cm3 and 67% solute by mass. Calculate the molality. Common commercial acids and bases are aqueous solutions with the following properties: HCl, density 1.19 g/cm3 and 31% solute by mass. Calculate the mole fraction. Common commercial acids and bases are aqueous solutions with the following properties: nitric acid (HNO3), density 1.42 g/cm3 and 61% solute by mass. Calculate the mole fraction. On the basis of the nature of the intermolecular attractions, arrange water, ethanol (C2H5OH), and chloroform (CHCl3) in order of decreasing solubility in carbon tetrachloride (CCl4). Predict the relative solubility of each compound in the two solvents on the basis of intermolecular attractions. Is NaCl more soluble in water or in carbon tetrachloride? Is iodine (I2) more soluble in water or in benzene? Is ethanol (C2H5OH) more soluble in water or in hexane? Is ethylene glycoL (HOCH2CH2OH) more soluble in ethanol or in benzene? Ethylene glycoL (HOCH2CH2OH) is a polar so it dissolves in a polar solution ( C2H5OH ). The O-H bond makes any molecule polar. a. Most gases decrease in solubility as the temperature increases. E.g., oxygen becomes less soluble as the temperature increases making it harder for fish to get sufficient oxygen or opening a cold soda can has less pop than opening a warm one under the same conditions (both shaken or neither shaken). c. In the above figure, KNO3 has a steeper slope than NaCl. This means the dissolution of KNO3 is more endothermic than the dissolution of NACl. The steeper slope the greater solubility with increase in temperature. At 25 oC and 2.0 atm, the enthalpy of solution of neon in water is -2.46 kJ/mol, and its solubility is 9.07 x 10-4 m. Check the conditions for which the solubility of neon is greater than 9.07 x 10-4m. Low temp and high pressure increases the solubility of Ne. The enthalpy of solution of nitrous oxide (N2O) in water is -12 kJ/mol and its solubility at 20 oC and 1.00 atm is 0.121 g per 100. g of water. Calculate the molal solubility of nitrous oxide in water at 0.800 atm and 20 oC. Hint, first find Henry's law constant at 20 oC and 1.00 atm. A 0.511 g sample of a nonvolatile, yellow crystalline solid dissolves in 13.0 g of benzene, producing a solution that freezes at 5.39 oC. Find the molar mass of the yellow solid. The following may be useful: The freezing point of benzene is 5.51 oC and the freezing point depression constant, kf, is 4.90 oC/m. (1) Solve ΔTf = mkf for m and find m.
(2) Recall m = mol solute/ kg solvent. (3) Multiply m by kg solvent to get moles solute (yellow solid). (4) Recall the definition of molar mass is g/mol. Simply divide the mass of the solute by the number of moles this mass corresponds to. (1) Solve π = MRT for M and find M.
(2) Recall M = mol solute/L solution. 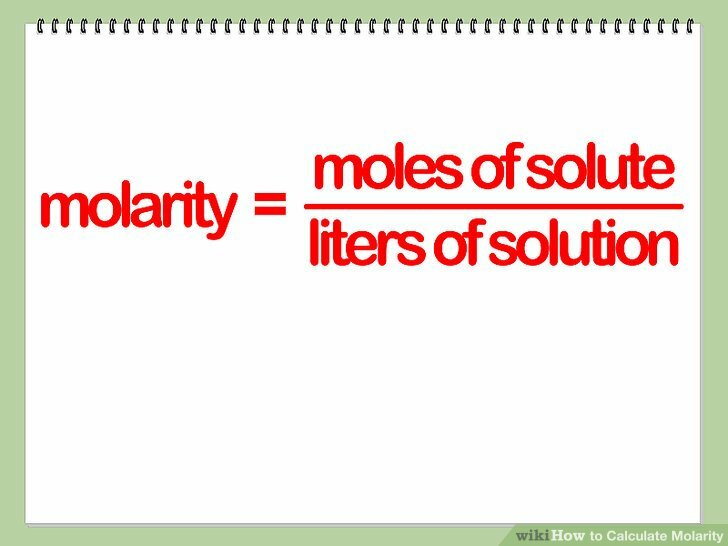 (3) Multiply M by L solution to get moles solute. A saline solution contains 6.1 g of NaCl in 1.00 kg of water. Assuming an ideal value for the Van't Hoff factor, i, calculate the freezing point of this solution in oC. A saline solution contains 7.1 g of NaCl per 0.80 liter of solution. Assuming an ideal value for the van't Hoff factor, i, calculate the osmotic pressure (in atm) of this solution at 291 K.
When 0.030 mol of HCl dissolves in 100.0 g of benzene, the solution freezes at 4.04 oC. When 0.030 mol of HCl dissolves in 100.0 g of water, the solution freezes at -1.07 oC. Use data in the following table to calculate the expected molality of HCl in each solvent, ignoring the van't Hoff factor. Check the 3 statements which are correct. a. The calculated molality of HCl in benzene is less than 0.30 m.
b. The calculated molality of HCl in benzene equals 0.30 m.
c. The calculated molality of HCl in benzene is greater than 0.30 m.
d. The results imply that HCl is moderately dissociated in BENZENE. e. The calculated molality of HCl in water equals 0.3 m.
f. The calculated molality of HCl in water is between 0.3 m and 0.4 m.
g. The calculated molality of HCl in water is between 0.5 m and 0.6 m.
h. The calculated molality of HCl in water equals 0.60 m.
i. The results imply that HCl is completely dissociated in WATER. j. The results imply that HCl is mostly dissociated in WATER. The van't Hoff factor is equal to 1 which means that HCl does NOT dissociate in benzene. The van't Hoff factor is equal to 2 which means that HCl DOES dissociate in water. A mixture contains 25 g of cyclohexane (C6H12) and 44 g of 2-methylpentane (C6H14). The mixture of liquids is at 35 oC . At this temperature, the vapor pressure of pure cyclohexane is 150 torr, and that of pure 2-methylpentane is 313 torr. Assume this is an ideal solution. What is the mole fraction of cyclohexane in the liquid phase? What is the vapor pressure (in torr) of cyclohexane above the solution? What is the mole fraction of cyclohexane in the vapor phase? P(C6H12) = (313 torr) (1 - 0.3677) = 197.9 torr. At a pressure of 760 torr, formic acid (HCOOH; boiling point = 100.7 oC) and water (H2O; boiling point = 100.0 oC) form an azeotropic mixture, boiling at 107.1 oC, that is 77.5% by mass formic acid. At the boiling point of the azeotrope (107.1 oC), the vapor pressure of pure formic acid is 917 torr, and that of pure water 974 torr. If the solution obeyed Raoult's law for both components, what would be the vapor pressure (in torr) of formic acid at 107.1 oC? If the solution obeyed Raoult's law for both components, what would be the vapor pressure of the water (in torr) at 107.1 oC? If the solution obeyed Raoult's law for both components, what would be the total vapor pressure (in torr) at 107.1 oC? Check those statements which are true regarding the above azeotropic mixture. a. The actual total pressure is 760 torr which is smaller than the vapor pressure expected by Raoult's law. Thus, there is a negative deviation in the vapor pressure. b. For a negative deviation, the attractive forces between water and formic acid must be larger than those in the the pure substances. c. For a negative deviation, the attractive forces between water and formic acid must be smaller than those in the the pure substances. d. The actual total pressure is 760 torr which is greater than the vapor pressure expected by Raoult's law. Thus, there is a positive deviation in the vapor pressure. e. For a positive deviation, the attractive forces between water and formic acid must be weaker than those in the the pure substances. f. For a positive deviation, the attractive forces between water and formic acid must be stronger than those in the the pure substances. The calculated pressure is the theoretical value. The actual value is less. A negative deviation means actual value is less than the theoretical. This means the solutes and solvents have a strong bond.